We open this month with review of an irony free film about Climate Change by the owner of a $200m yacht, an award for a film, a new inspiring French film and two pieces on Brexit, it really isn’t time for everybody to get stoned (as might now Dylan agree). Insights into community Funders and communities having fun doing stuff. Plus reports from Italy, Mallorca, Barcelona and a course in Slovenia. A film about Climate Change that within the first 2 days of its release was viewed 3.5 million times, is surely one to welcome. Sadly the film would have us believe that we can have our cake and eat it. We can’t. Missing is the kind of inner journey the lifestyles of the rich and famous need to go on for a more equitable, just, and sustainable world. DiCaprio’s reluctance to share his own honest, painful, rich journey with us is such a pity. After a fascinating week in the evolving absurdity of Brexit, a new report called ‘Creating Good City Economies in the UK’ contains many useful insights into what a good Brexit could look like. At a time when we desperately need new thinking, Rob Hopkins explores what it looks like when top down and bottom up are working together. « We can’t continue working as we have done over the last decade and expect a different result, can we? » asks Jay Tompt. He says we need more practical action, preferably together and in more joined up ways. This means busting out of professional silos and cultural bubbles to explore adjacent possibilities. Rob Hopkins suggests that we’re caught in a Catch 22, where the dire state of the world’s challenges needs everyone’s rallying and focus, but the scale of those challenges, and the deeply dysfunctional culture that created them, are driving people to need to block them out. Can Funders do Systems change? How well is the power that funders have on the work to bring about deep-rooted systemic change? On behalf of a small international foundation Fiona Ward recently spoke to 25 organisations in the UK, the USA and some countries in Western Europe. The report uncovered some common themes around the best leverage points for funding attention, as well as some food for thought for the foundations and other funders. Already a key influence on the Transition movement, Green Party, New Economics Foundation and Soil Association, Fleming’s legacy is only set to grow with the posthumous publication of his astonishing masterpiece, Lean Logic: A Dictionary for the Future and How to Survive It). Building on the tradition of E.F. Schumacher, his entertaining vision of a post-growth economy built on the play, humour, rootedness and reciprocal obligations of a rich culture has long inspired optimism and action. Rob Hopkins and Shaun will share insights and anecdotes on his life, influence and enduring importance. Deborah Rim Moiso updates the story of how Italian permaculture and Transition groups are contributing to the aftermath of the recent earthquake that hit Amatrice in Italy. Just time for a quick tour and a talk. Producers of the film ‘Demain’ and Rob have been awarded Doctor Honoris Causas by Namur University. When bottom-up action takes its place at the table. A one day event in Brussels had as a basic premise that the COP21 climate agreement “will be implemented and brought to life by civil society, not the COP negotiators”. The European Economic and Social Committee event organisers argue that what is needed is a “coalition of politics, administration and civil society”. Bart Anderson of Transition Palo Alto is saving laptops from landfill. Young people from five EU countries came to an eco farm in Kunszállás, Southern Hungary, where they made their mark on the homestead, the surrounding town, and maybe most importantly: on themselves. We asked an organiser, Tracey Wheatley from Transition Hungary, how it all came together, and what can we take away from it. Fancy hosting a Transition Film Festival? 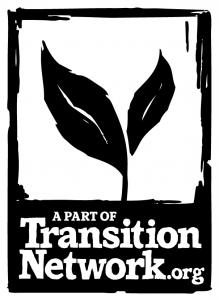 Transition Town Totnes is currently preparing the third iteration of the Transition Totnes Film Festival – & this year, for the first time, it is being offered to other UK Transition groups after the Totnes event in March. The Festival is devoted to showing films which truly have something to offer to our communities. They may be about the environment, education, community, gender, food and health, art and music. Some will be ‘new’ films – but others will be important films that simply have not been widely distributed. Marie-Monique Robin on her new film ‘Qu’est-ce qu’on attend’ (‘What are we waiting for?’). Another new French film about Transition (one of our 21 Stories) tells the story of Ungersheim in north-eastern France. Our website is having a major refit and will RElaunch on Tuesday 22 November. In the run up to the launch we will be sending some email bulletins about it and hope that you will like the new look. As with any such project there may be some glitches so please bear with us as it settles in. The weekend course will be in English with translation and support in Slovene, and in other languages by peer-to-peer translation.